12 volt lead lamps provide a great solution when working in dim conditions indoors. Browse our full range of 12V lead lamps below, and don’t hesitate to get in touch if you have any queries. If you often carry out routine maintenance work on your vehicle while in a garage or workshop, a low voltage lamp such as the 12V lamps in our range can really help you focus on the task at hand. Low voltages such as these are ideal for indoor use, as they have a low heat output and a high shock resistance. 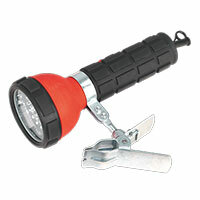 They also allow you to shine the light in the exact area you need it, making tricky tasks that bit easier to approach. At Euro Car Parts, we have a variety of lead lamps available, and with over 200 branches up and down the country, it’s never been simpler to call in and find what you’re looking for. Alternatively, you can make the most of our free UK delivery, or free click and collect service! Browse the full range of 12V lead lamps today, and don’t hesitate to get in touch if you have any queries.